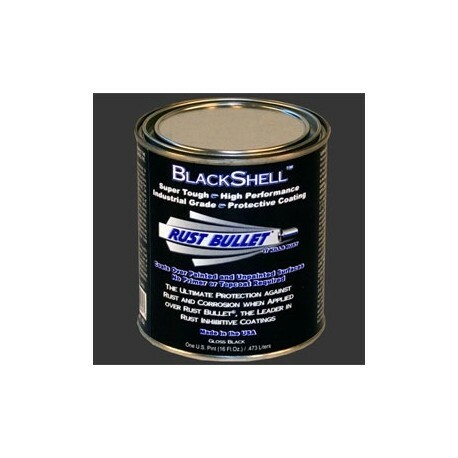 > "Rust Bullet BlackShell Gloss", rust treatment paint and anti-rust protection coating>Gloss Black Metal Paint 2 Pint RB Blackshell Special Server Pack- Limited Offer- Buy Now! 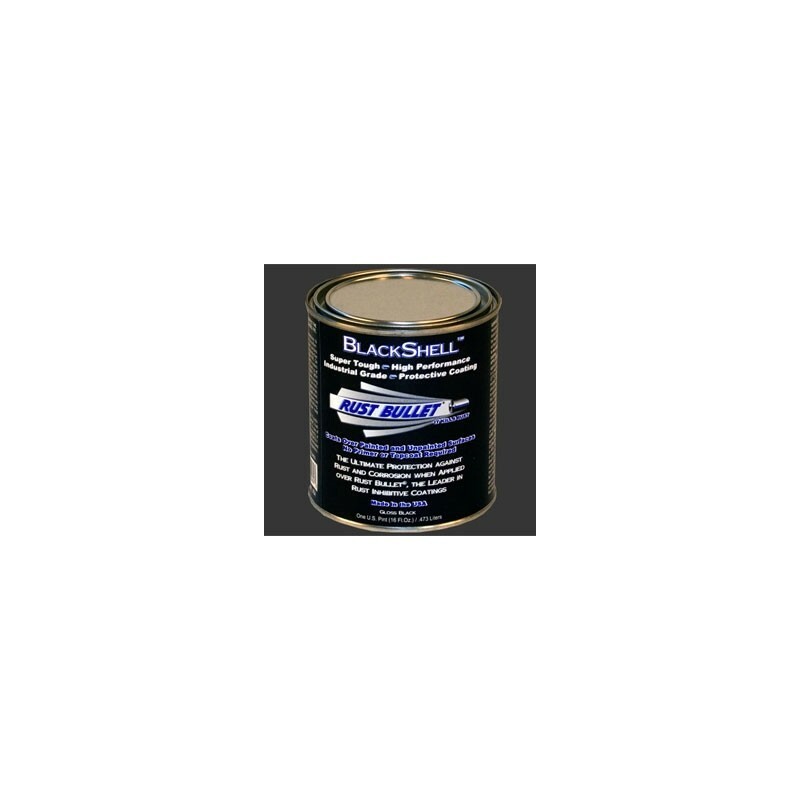 Gloss Black Metal Paint 2 Pint RB Blackshell Special Server Pack- Limited Offer- Buy Now! 2 X 1 Pint Rust Bullet Blackshell. A one step, two coat, simple to apply, low maintenace, super tough, high performance rust inhibitive coating. 2 X 1 Pint Rust Bullet Blackshell. A one step, two coat, simple to apply, low maintenance, super tough, high performance rust inhibitive coating. Each pint tin covers approximately 2.3 square meters with a two coat application of shiny Blackshell.